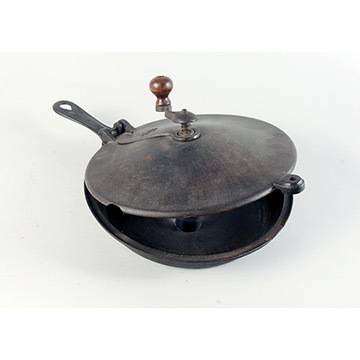 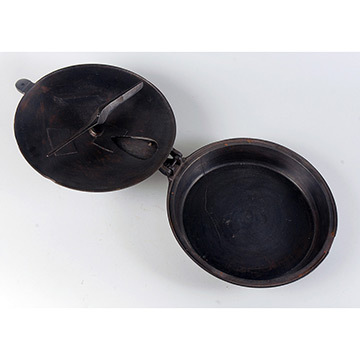 Coffee beans, grains, or spices could have been roasted in this skillet-style, cast-iron pan. 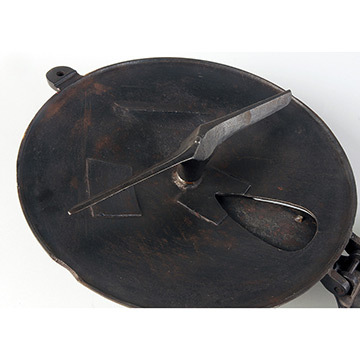 The handle on top turned a propeller-shaped paddle underneath the lid that agitated the contents so the food would not burn. 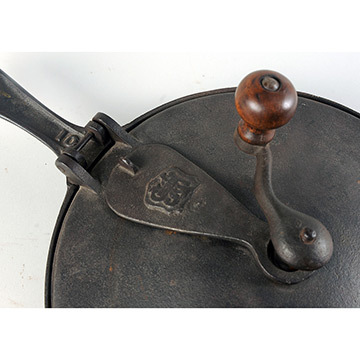 The slide-away door on the lid, ornamented with a maker's emblem, allowed the cook to monitor the activity inside, smell the aroma, or add spices. 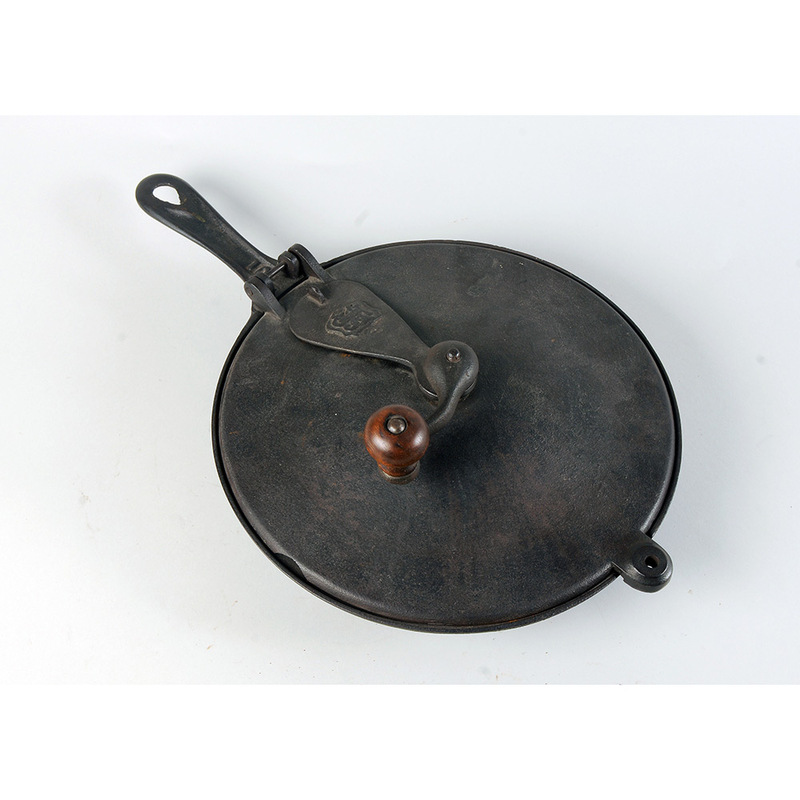 The pan fit into a ten-inch burner on a cookstove.